If this past winter seemed a little darker than the previous ones, it is because on December 18, 2018, Annie Dimakatso Millar Desmond, True Concentration of the Heart, left us. She had a beautiful smile that would light up a room, and she brightened every life she touched. 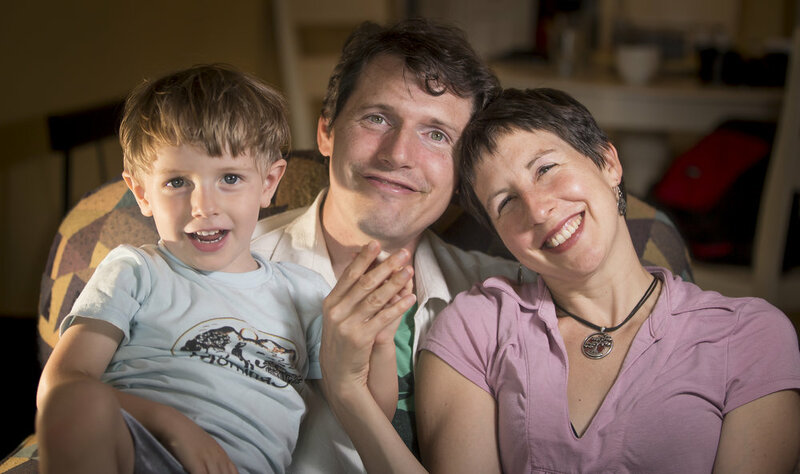 Annie and her husband, Ambrose, were co-founders of the MorningSun Mindfulness Center in New Hampshire, U.S. There they lived, practiced in the Plum Village tradition, and helped to organize and offer regular Days of Mindfulness and retreats for the public and for Order of Interbeing members and aspirants from the Northeast. Annie was the embodiment of our practice. She was fully present for whomever she was with. She was also a true friend, a good listener, and a wonderful mother. Her capacity for love and joy were a blessing and an inspiration to everyone who knew her. Annie was born in Botswana and was called Dimakatso, which means “Miracles.” She most definitely lived up to her name. Though her life was far too short for those of us who loved her, it was extraordinarily full. She loved learning. While attending Sarah Lawrence Col­lege, she studied Spanish at the University of Havana in Cuba and spent her junior year in Mexico and Costa Rica learning about grassroots organizing. After college, she worked at Slide Ranch, an environmental education center in Muir Beach, California, as director of education. The job incorporated all she had learned and her love of nature, sustainability, and children. Her life was filled with singing, dancing, writing, editing, learning, teaching, laughing, and most of all—loving. From an early age, her kindness and desire to help others was very clear. While still in high school, she helped Habitat for Humanity build homes in Guatemala. She met Ambrose in California while he was in graduate school. They shared interests in social justice, sustainability, spiri­tuality, and intentional communities. They fell in love, and in 2010, I was honored to officiate at their wedding at Slide Ranch—a place Annie loved so much—on a cliff overlooking the Pacific Ocean. It was a magnificent day and a true love fest. As they entered the circle to get married, we all sang Kate Wolf’s song Give Yourself to Love, and they gave themselves to love. They wanted to start a family in a supportive community of practice, which brought them to the MorningSun Mindfulness Center. Sadly, Annie was diagnosed with advanced cancer mid-2015. Ambrose, their families, and friends did everything humanly possible to support her. She wanted to have as much quality time with their son, Finn, as she could. During her life, Annie made deep friendships with people all over the world. It was so moving to see how many offered help to her. Her ability to live as fully and joyfully as she could in the midst of suffering was an inspiration to everyone. That what brings us together here has blessed us all today. Love has made a circle that holds us all inside. Where strangers are as family, loneliness can’t hide. And give yourself to love, give yourself to love. Annie and Ambrose had opened their hearts to the tears and laughter, and let their love make a circle to hold everyone inside. Those of us who were fortunate enough to have experienced that circle of love felt deep gratitude for having known Annie and deep sorrow at her passing. We know the bright love light she transmitted will continue in all of us. We will hold Ambrose, Finn, and their families in our hearts and in our prayers.